The Judean wilderness is the same wilderness where David spent much of his time as a shepherd, where the story of David and Abigail unfolds, and where Jesus went to be tempted for 40 days. God blessed us while we were in this wilderness, or more correctly “green pastures” by giving us a flock of goats to watch as they followed their shepherd’s voice. This reminded us that we too should be like that flock trusting and always following our shepherd, God. 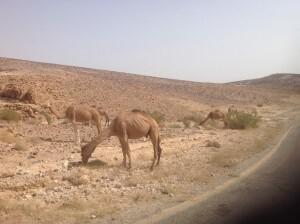 Moving on to Masada we were once again blessed by God with camels on the side of the road. Talk about a Kodak moment! So out of the bus we scampered to take pictures with the camels. They were very nice and actually let us pet and hug them. Cool!! Ah Masada. What stories those walls hold. After climbing our way up the hill, we learned about 3 Masadas. The first being during David’s time when he escaped from Saul, the second during King Herod the Great’s reign, and finally the third, the Jewish revolt 67-69AD. We spent time walking the sites learning some of history behind the 2nd and 3rd periods. 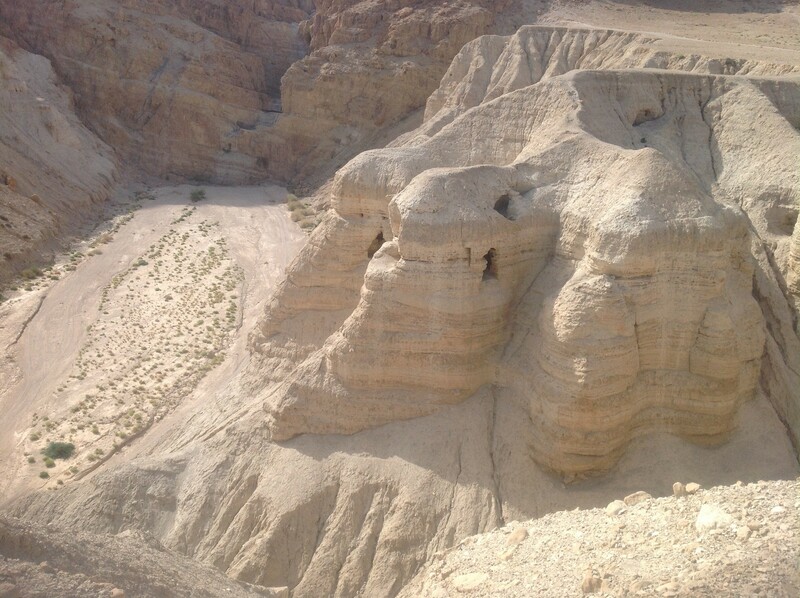 After lunch we were off to Qumran where the Essenes lived and worked on transcribing the Torah scrolls. Again George led us in the history of the Dead Sea Scrolls and shared with us what living there as an Essene might have been like. A lot of what happened in this community also happened in the new Christian church after Pentecost. Finally we headed to Jerusalem and spent some time at the Western Wall. We arrived in Jerusalem just in time for Rosh Hashanah the Jewish New Year. There are many visitors in town and unfortunately some things are shut down until Sunday. Looking forward to what God blesses us with tomorrow. It’s super hot, he even had to add a sweat ban to his look. And Hank wants everyone to know the bus driver is in love with him. 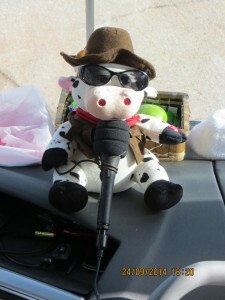 He let him sing to the group by microphone on the bus and ride up front in the window. Hank loves this trip and Sudi!! Hear O Israel. The Lord is our God, The Lord alone. Love The Lord your God with all your heart, soul, and mind; and love your neighbor as yourself.